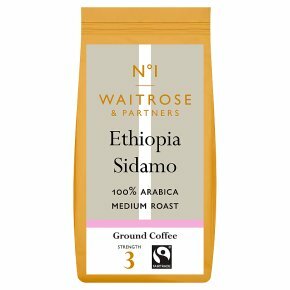 Waitrose 1 Mocha Sidamo 100% Arabica Ground Coffee. A subtle, slightly floral coffee with delicate citrus notes, from Sidamo, Ethiopia's most renowned coffee area. Strength 3.